Oh my god. I would've been beside myself. I thought paper dolls were awesome when I was young. Now I have to put it out of my mind, because I'm sad I don't have them anymore. Their outfits were so pretty. I know, I know! They are just so incredibly wonderful! oh wow, i wouldn't have slept a wink. Wow! This shop is wonderful, thanks for sharing! I am going to host a giveaway of one of her product in the coming week. stay tuned. oh my cuteness! 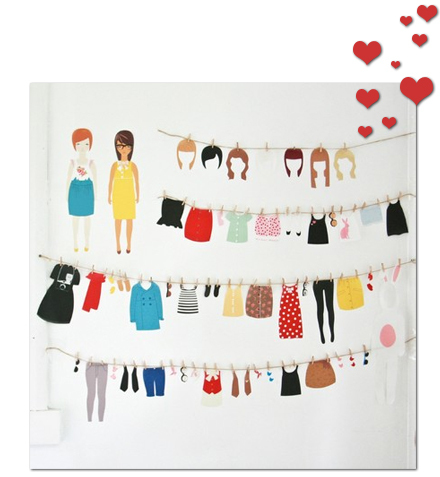 paper dolls are my obsession still!